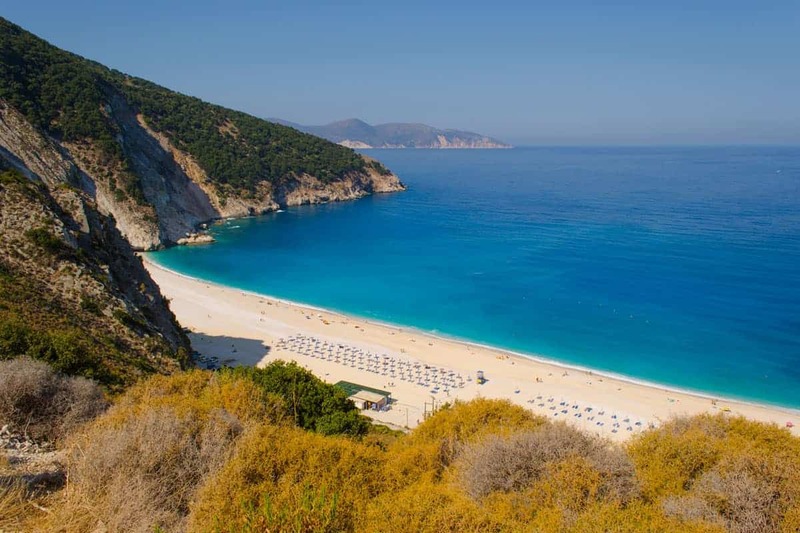 Home » Blog » Which Greek island has the best beaches? The island with the best beaches is probably Skiathos, almost every beach on the south coast is golden sand and pure turquoise water. They are generally well organised with good facilities and unless you are arriving late then you should get a bit of space to yourself or a sunbed if you want one. Another Island with good beaches is Kos. Paradise beach on the south coast is a long stretch of soft sand that has a very shallow entrance to the water, in places you can get quite far out and still only be waist deep which makes it perfect for little ones to play safely. Kos also has a number of other good beaches on the south coast as well as good beaches at Tigaki and Mastichari. There are a few special beaches that are worth looking out for, we list some of the most popular below. Myrtos beach is in Kefalonia and it’s probably one of the most photographed beach in Greece, there are a number of places to get good photos of the beach from the winding road above. Once you get down to the beach you may be a little disappointed to find that it’s usually busy, has quite a strong current and is made up of large white pebbles rather than nice soft sand but that’s easily forgotten once you take in the stunning scenery, the high cliffs on both sides the turquoise water and the bright white stones make this a dramatic place to spend the day. 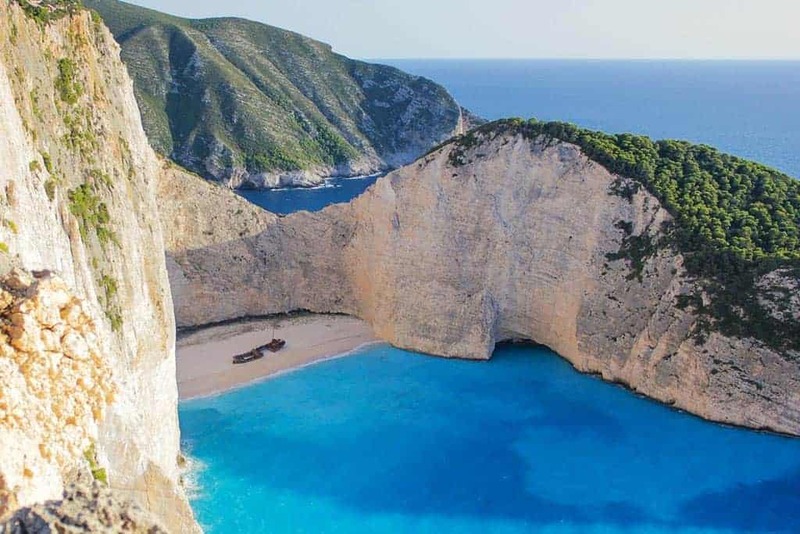 Zantes Navagio beach, often referred to as Shipwreck beach or smugglers cove is not accessible via the road so you have to get a boat, the best places to go from are nearby Porto Vromi or from the Harbor of Saint Nikolas in Volimes. Another alternative is to do a days site seeing boat trip and that’ll almost certainly include Navagio as part of it. Again some people may be disappointed when they arrive as the beach is shingle and pebble rather than soft sand but like Myrtos the dramatic cliffs and gorgeous water more than makes up for it.